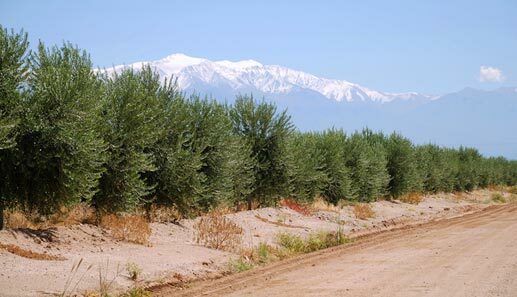 AOG Group has more than 7,000 hectares of olive trees in production. This defines AOG as the largest olive group in Latin America for its current extension. It also has 6 state-of-the-art manufacturing plants located at the foot of the plantations, giving them a proper harvest logistics for international quality required by their customers. Uncontaminated wilderness and a policy that is concerned with the protection of the environment are the ideal to achieve excellence and to ensure a sustainable production framework. With an investment of over 40 million dollars, this olive growing group involves all stages of the production process, processing, packaging, export and distribution of extra virgin olive oil and other olive products.